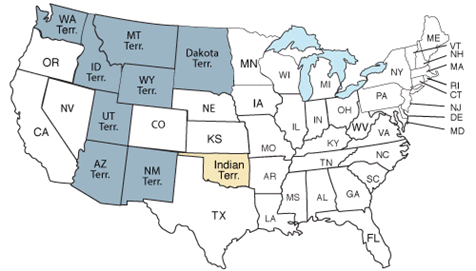 38 states took part in the 1880 census, including the new state of Colorado and the territories of New Mexico, Idaho, Arizona, Utah, Wyoming, Montana, Washington, Alaska, Dakota and Indian. It took approximately $5,791,000 and 31,382 enumerators to complete the 1880 census, producing 21,458 total pages in published reports. The U.S. population increased by 26 percent from the 1870 census to the 1880 census. 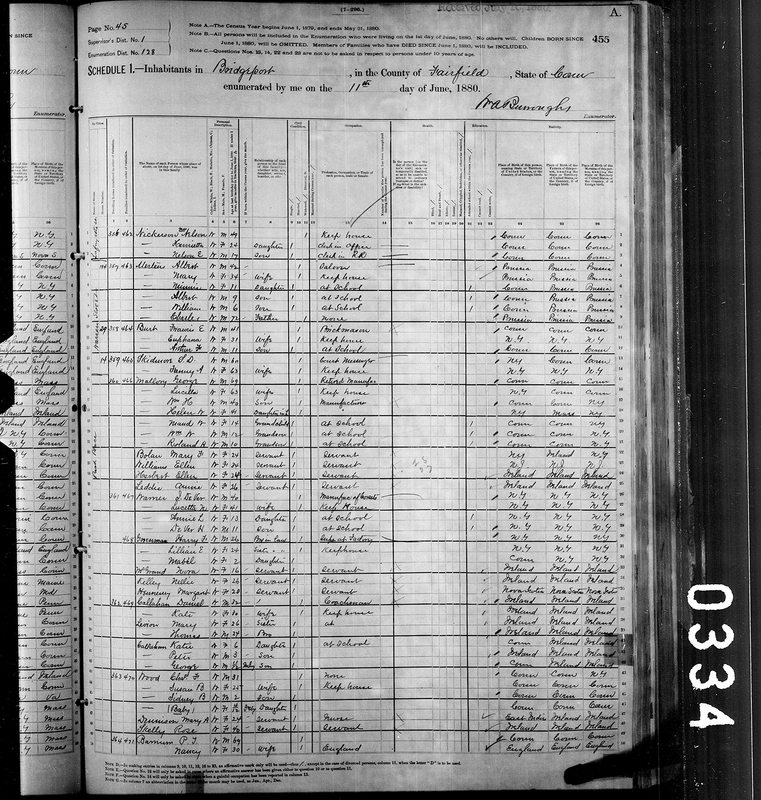 What was lost from the 1880 U.S. Census? No major loss of records for the 1880 Census. Phineas Taylor Barnum was known as a showman, entertainer, ringmaster, as well as a scam artist, promoter of hoaxes and a poor investor. Barnum was born July 5, 1810 in Bethel, Connecticut, and after of life as a promoter of all kinds, at the age of 60 he debuted his "Greatest Show on Earth,” a long-running traveling circus that has continued to delight generations. Barnum went to great lengths to gain a profit, including showcasing a fake “Feejee Mermaid” from Calcutta, promoting various sideshow curiosities, and presenting opera singer Jenny Lind at a reported $1,000 a night (an astronomical price at the time). Barnum suffered a stroke in 1890 during a performance and died in 1891. P.T. Barnum in the 1880 Census, with his wife, Nancy. September 4, 1882: Thomas Edison’s Pearl Street Station became the first central power plant in the United States, generating electricity for 400 street lamps and 85 customers. June 17, 1885: The Statue of Liberty arrives in New York from France. November 1889: North Dakota, South Dakota, Montana, and Washington all achieve statehood.